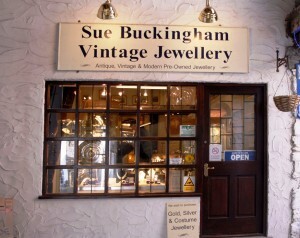 Sue Buckingham is an established dealer in antique, vintage and modern pre-owned jewellery. The showroom displays an extensive range of gold, silver and costume examples dating from the Victorian era to contemporary designs. 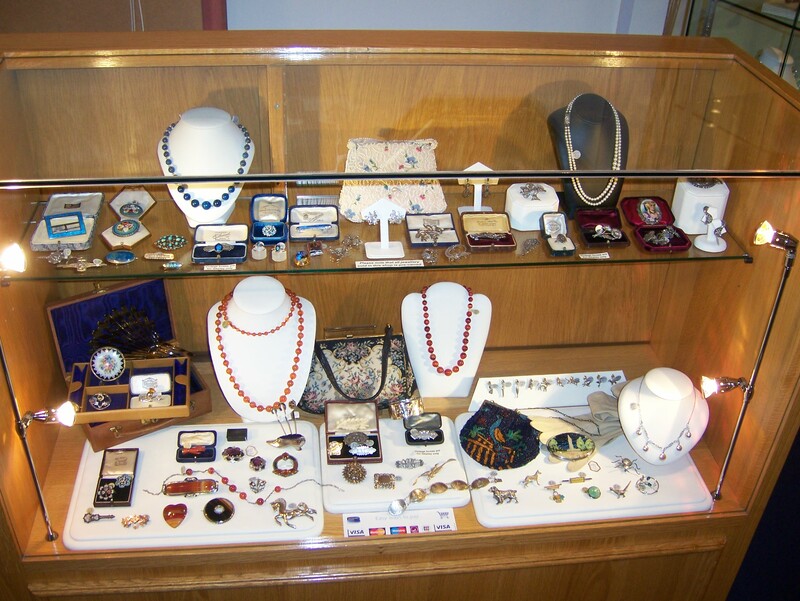 For the collector there are vintage powder compacts, evenings bags and small items of silver. 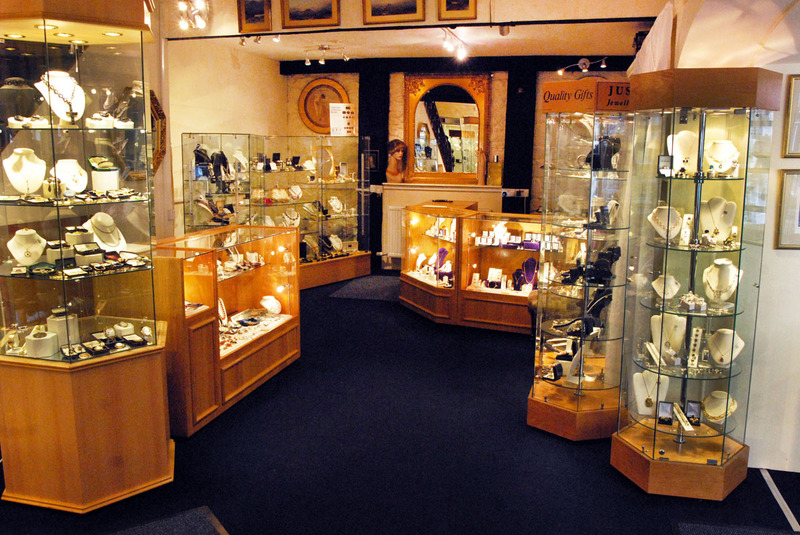 Jewellery and scrap gold are also purchased at competitive prices. 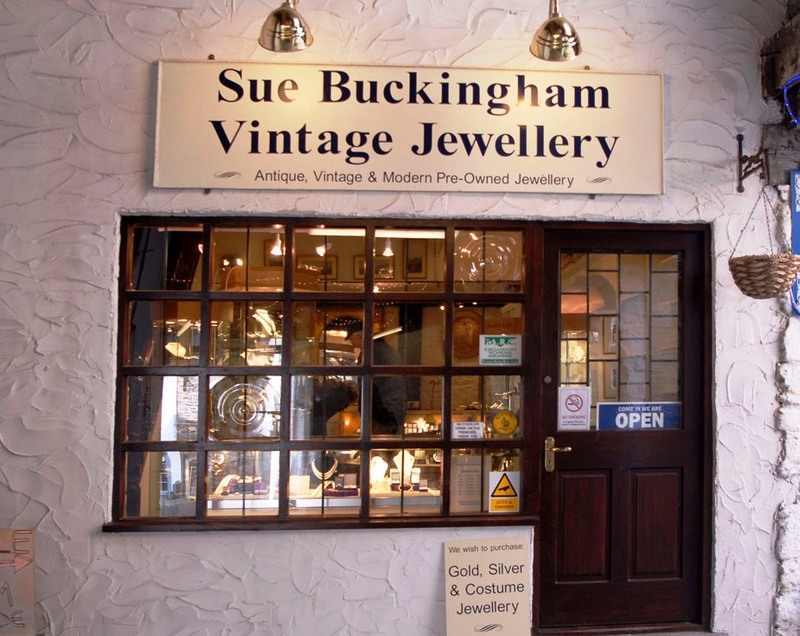 On the mezzanine floor is the Vintage Fashion Boutique with a select collection of vintage and retro clothing ranging from ladies dresses to gentlemens sports jackets. 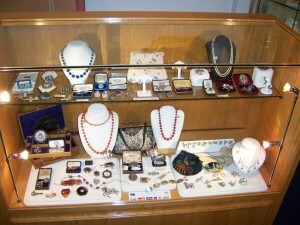 To complete the look there are also hats, handbags, shoes and accessories.